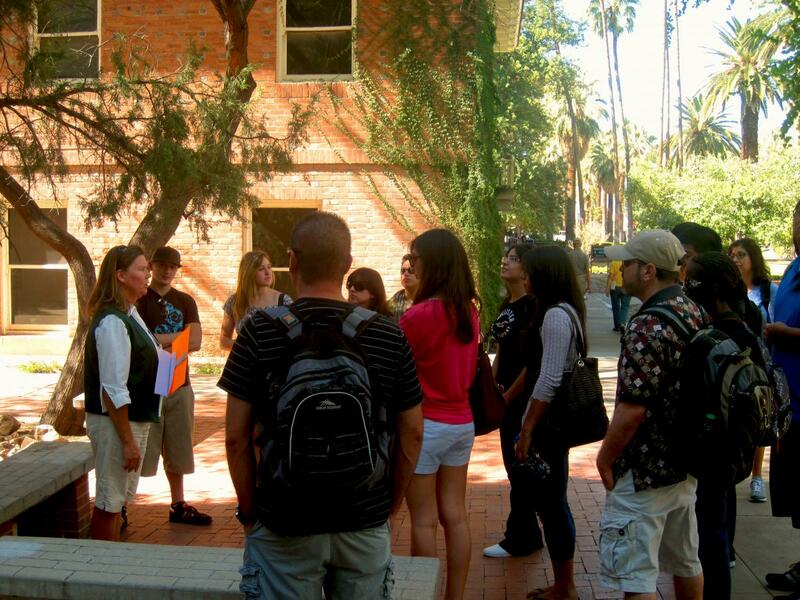 Every semester the University of Arizona welcomes thousands of transfer students. 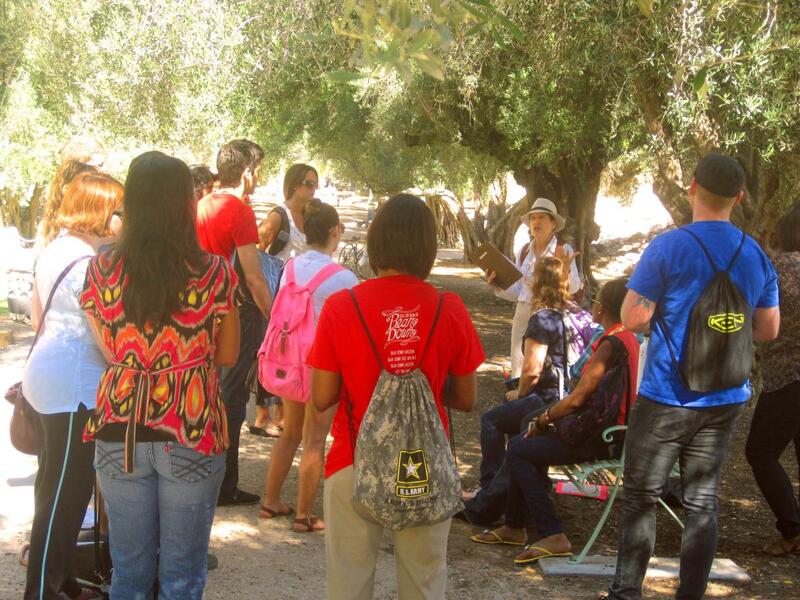 This Fall the UA Campus Arboretum Tree Stewards had the opportunity to welcome a group of almost a hundred students from Pima Community college. 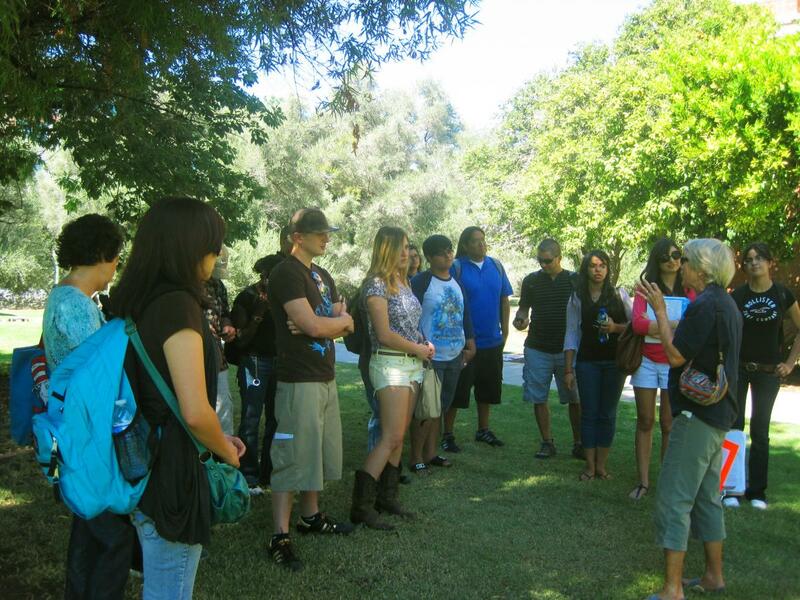 They introduced them to the rich history and botanical heritage of the campus they will call home for the next "few" years. Welcome to our newest wildcats! Top left: Bob sets the stage of the early territorial period when the UA was established. 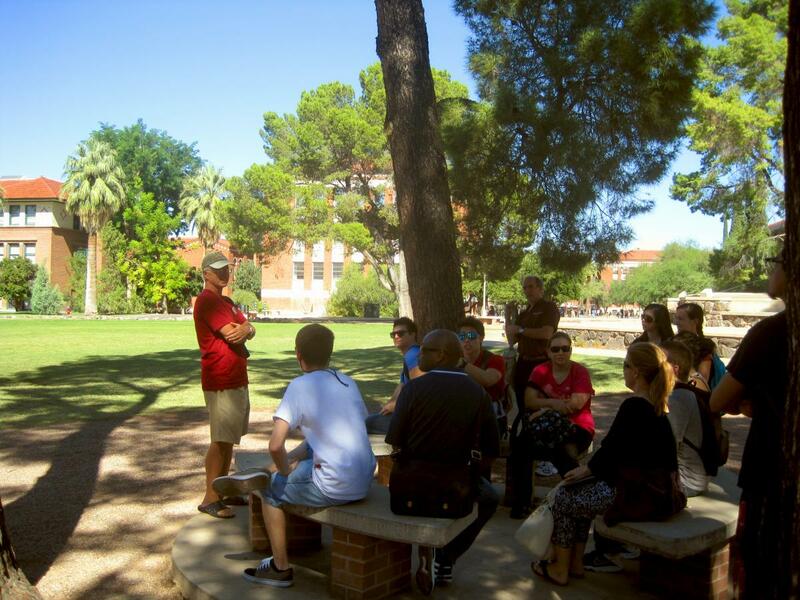 Top right: Debbie and Renate answer the question burning on every visitor's mind "Why are there riparian trees on a desert campus?" Middle left: Lillian explains the role of the Campus Arboretum in providing stewardship and leadership for landscape development and management. Middle right: Jean tells the significance of Dr. Robert Forbes olive cultivar experimentation in promoting economic stability for the soon-to-be state of Arizona. 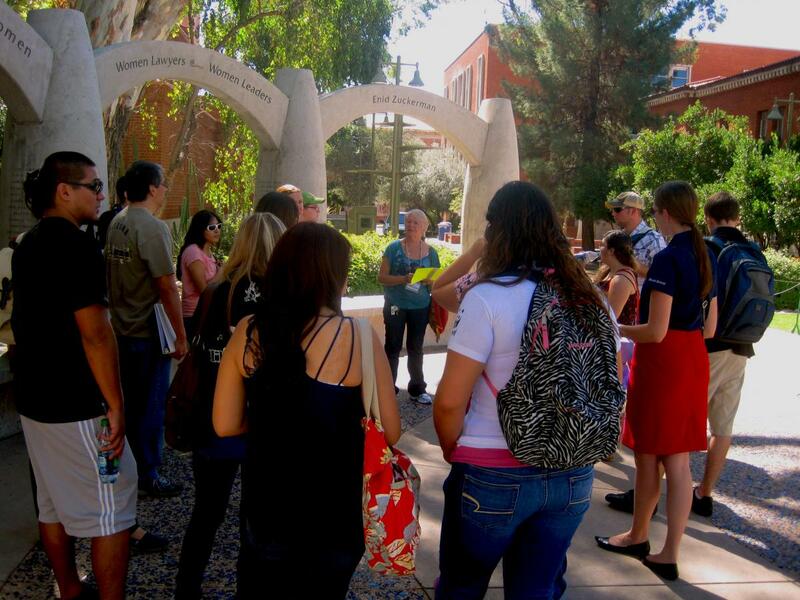 Bottom: Beth and Nina discuss how landscape ornamental trees from arid regions worldwide came to be on the UA campus through the efforts of Dr. Warren Jones and others over many decades.